When Canadians think of a weekend retreat or vacation, they don’t necessarily think tropical. Their country’s wide-open, rustic landscapes are perfect for beach lovers, hikers, children, and couples. Stay in a family-friendly, romantic cottage in Ontario; soak in the hot springs in Banff; walk along the dunes of Prince Edward Island; or enjoy a wine tasting in Nova Scotia. Whether you’re on your honeymoon or traveling with the kids, Ontario has many places perfect for a weekend getaway. 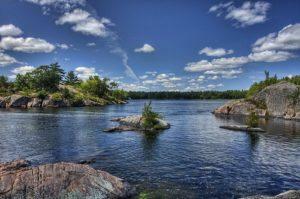 Wooded acres of land and sparkling lakes, offer swimming, fishing or boating. A myriad of spectacular spas and quaint hotels and inns, golf courses and community events give this popular province a special charm. Nestled in the Canadian Rockies, Banff lures those seeking scenic beauty as well as the more adventurous. Its rivers, forests, and mountains are within walking distance, giving Banff’s travelers access to breathtaking scenery. Recline near the clouds in the Banff Upper Hot Springs, an historic spa that gives visitors access to the mineral-rich waters of the spring-fed hot pool. Once thought to be filled with sacred, healing water, the springs still rejuvenate the body and mind of those who visit. It is called the Gentle Island for a reason; life there is serene and down to earth. The interior of the island is covered in rolling green countryside and peaceful farmland. Watch your children frolic near the dunes or search for crabs where the land meets the sea. Create treasured memories by touring the many lighthouses that dot the coast. 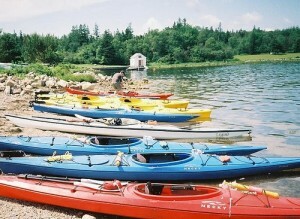 In Nova Scotia, you can travel by kayak to a private cove for a culinary indulgence or search through the forest for wild mushrooms. Secluded vacation homes sitting on ocean front property can be rented for a romantic vacation far from the anxieties of home. 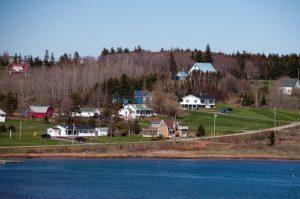 Nova Scotia is home to award-winning wineries and lush vineyards. The province is known for its seafood. Entice your taste buds with succulent lobster, Dig by scallops, or mussels paired with a light, fruity wine. 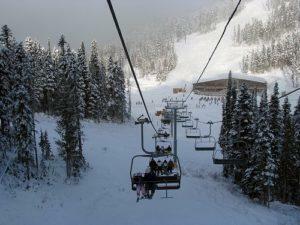 Take advantage of the largest ski area in North America at B.C.’s famous Whistler resort. The long ski season, and challenging powder and glacier skiing, offers a varied environment for amateurs and professionals to test their skills. Activities are not limited to the winter season; in the summer, visitors can ride down the slopes on a bike or go boating in the Whistler Valley. The town is filled with restaurants and shops that lure skiers off the slopes to be entertained. Almost every vacation spot in Canada has a wild side. If you want to leave your laptop behind and really get away to a place untouched by tension and nestled in leisure, you have a wide range of places from which to choose. Outdoor lovers can experience the geographical array of options supplied by Mother Nature. Culinary aficionados can eat and drink to their hearts’ (and bellies’) content. Couples seeking time alone or families trying to reconnect can find what they are looking for off the beaten path. Richard Hamilton the author of the “Canadian vacation getaways” is an Ontario resident, and a content contributor for many Canadian and US travel media as well as many hotel comparison websites. He loves to getaway to other provinces when he has vacation time; they are so close and offer every kind of geography and climate for short trips.